[Note: The home instruction law does not authorize on-site visits to a home prior to approval of a home instruction program, nor does it authorize subsequent visits to determine whether standards are being met; prior visits would only be permissible with the agreement of the parent or guardian as an alternative to providing additional information about the place of instruction. 1989 Op Atty Gen, No 89-22, p. 60. The school district sets up scheduled appointments for you to bring your records to the district office for review.] You can meet with the school official at the district office. (c) a record of evaluations of the student's academic progress. A semiannual progress report including attendance records and individualized assessments of the student's academic progress in each of the basic instructional areas specified in item (3) must be submitted to the school district. (7) parents must agree in writing to hold the district, the district board of trustees and the district's employees harmless for any educational deficiencies of the student sustained as a result of home instruction. At any time the school district determines that the parent is not maintaining the home school program in keeping with the standards specified in this section the district board of trustees shall notify the parent to correct the deficiencies within thirty days. If the deficiencies are not corrected within thirty days, the district board of trustees may withdraw its approval. (B) The district board of trustees shall provide for an application process which elicits the information necessary for processing the home schooling request, including a description of the program, the texts and materials to be used, the methods of program evaluation, and the place of instruction. Parents must be notified in advance of the date, place, and time of the meeting at which the application is considered by the board and parents may be heard at the meeting. (C) Within the first fifteen instructional days of the public school year, students participating in home instruction and eligible for enrollment in the first grade of the public schools must be tested to determine their readiness for the first grade using the readiness instrument approved by the State Board of Education for public school students. If a student is determined to be "not ready" or is determined to lack the necessary emotional maturity, the parent must be advised by appropriate school district personnel whether a kindergarten or a first grade curriculum should be used for the child. Nothing in this section may be interpreted to conflict with a parent's right to exempt his child from kindergarten as provided in Section 59-65-10(A). (D) Should a student in a home schooling program score below the test requirements of the promotion standard prescribed for public school students by the State Board of Education for one year, the district board of trustees shall decide whether or not the student shall receive appropriate instructional placement in the public school, special services as a handicapped student, or home schooling with an instructional support system at parental expense. The right of a parent to enroll his child in a private or parochial school as provided in Section 59-65-10(A) is unaffected by this provision. (E) If a parent is denied permission to begin or continue home schooling by a district board of trustees, the decision of the district board of trustees may be appealed, within ten days, to the State Board of Education. Any appeal from the decision of the State Board of Education must be taken, within thirty days, to the family court. You do not need to provide any Social Security number to anyone. The Social Security number is for Federal USE only! (The Social Security Number (SSN) was created in 1936 as a nine-digit account number assigned by the Secretary of Health and Human Services for the purpose of administering the Social Security laws. SSNs were first intended for use exclusively by the federal government as a means of tracking earnings to determine the amount of Social Security taxes to credit to each worker's account. Over time, however, SSNs were permitted to be used for purposes unrelated to the administration of the Social Security system. For example, in 1961 Congress authorized the Internal Revenue Service to use SSNs as taxpayer identification numbers. In response to growing concerns over the accumulation of massive amounts of personal information, Congress passed the Privacy Act of 1974. Among other things, this Act makes it unlawful for a governmental agency to deny a right, benefit, or privilege merely because the individual refuses to disclose his SSN. Does the school district issue the home school child any diploma? NO! In the event that any nonattending children reported to the attendance supervisor shall be unable to procure books, that fact shall be reported to the trustees and county superintendent of education, and steps shall be taken immediately to provide the necessary books and working material. In the event that such nonattending children shall not have suitable clothing or shoes, and the parents or guardians of such children are financially unable to provide the same, such condition shall be reported by the attendance supervisor to the social and civic organizations of such county for such action in the premises as to such social and civic organizations shall seem meet and proper. The attendance supervisor shall accept and receive from the social or civic organizations and agencies of the county or community all cash, clothes, shoes, books, materials and similar articles as may be provided, and shall supply them to the nonattending school children of the county who are unable or whose parents or guardians are unable financially to provide such articles. Do you and should you provide any information to the school district if you decide to home school through any association? NO! 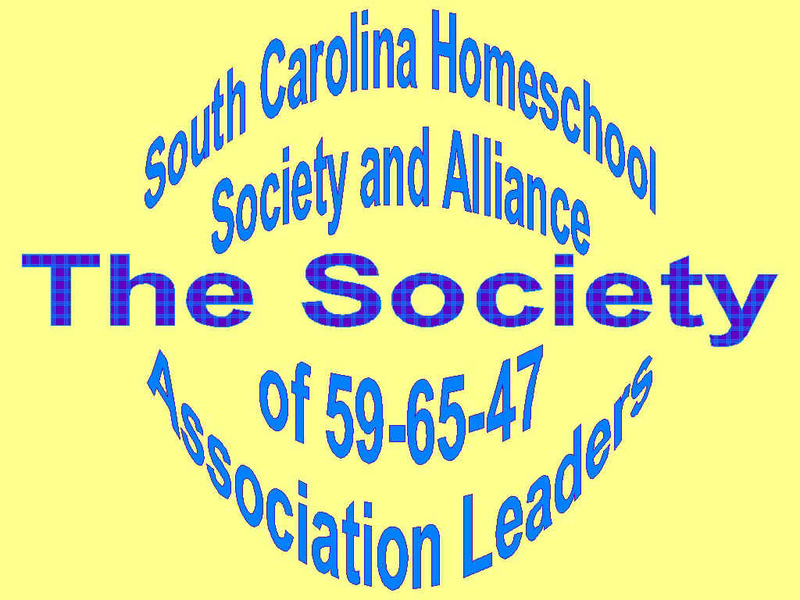 If you choose to home school through your local school district, NBHSA SC highly recommends you join HSLDA - Home School Legal Defense - http://www.hslda.org and send your school district application to HSLDA, prior to completion of said application, which will ensure you are not required to provide information and/or adhere to requirements not mandated by law.